Three area residents won giveaways at the Friends of the Garnett Library’s annual fall fashion show fundraiser Friday, Nov. 16, at the West Plains Country Club. The event was hosted by The Kloz Klozet and Cleea’s At Home Market. Courtney Judd, West Plains, won a “Home for Christmas” bag and notepad from Cleea’s At Home Market. Shirley Lawler, West Plains, received tech-friendly gloves by Mudd Pie from The Kloz Klozet. 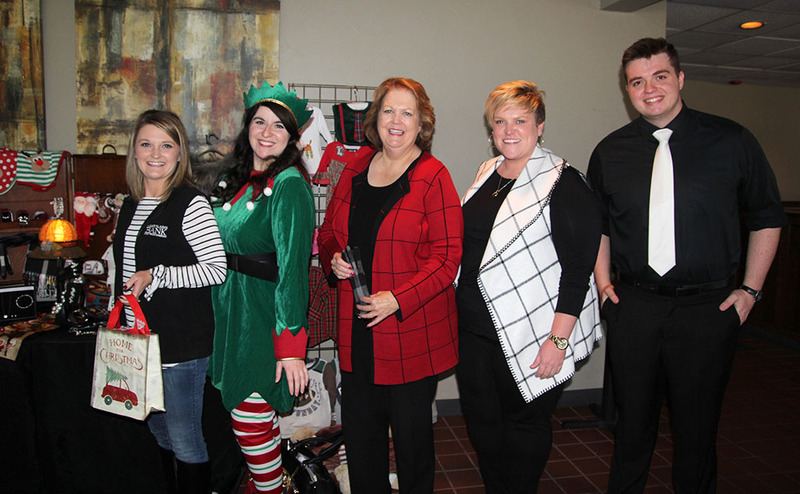 And, Sarah Johnson, Mammoth Spring, Ark., received a black-and-white vest by Mudd Pie from The Kloz Klozet and holiday table décor from Cleea’s At Home Market.